New Lali animal introduced this week! This is Avery, a waldorf tortoise. She is made in the same method as waldorf with a rolled wool head. 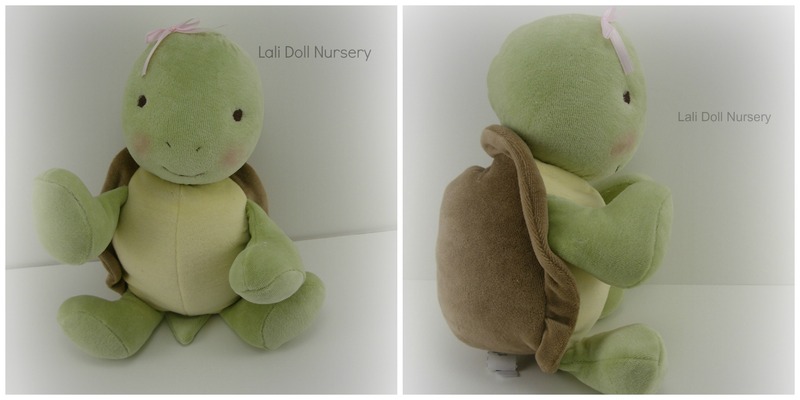 She is made with soft cotton velour fabric and stuffed with 100% wool. Her facial features are hand embroidered and she has slightly blushed cheeks. She’s approximately 13″. I am also working on a pattern for the tortoise, which will hopefully be ready next month. If you’d like to purchase Avery, she will be in the “Doll Shop” on Friday evening at 9pm ET.